I have been invited by the lovely Michelle to post as a guest over on The Purple Pumpkin blog. 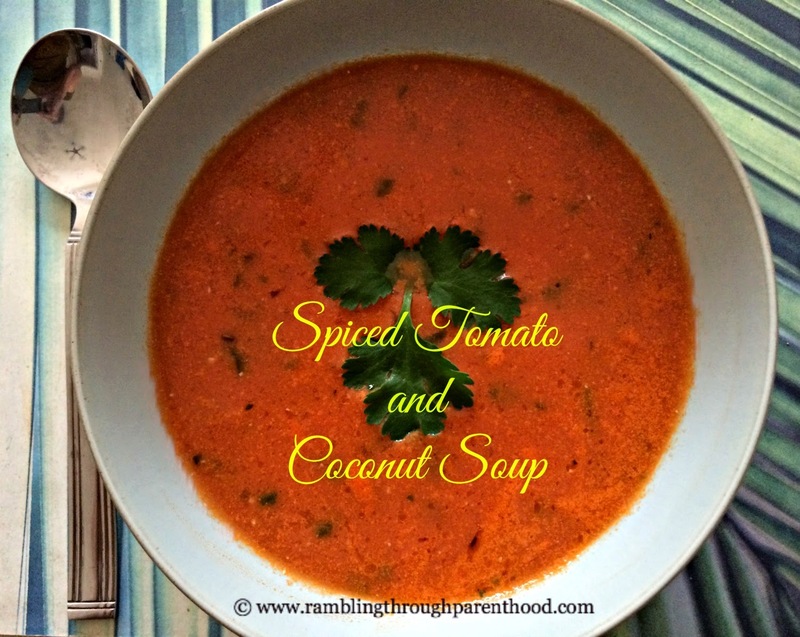 I chose to write a recipe for a spiced tomato and coconut soup, something I ate a lot of growing up. This is essentially my Aai's (Mother's) recipe, but I have cut corners and made it easy by using chopped tinned tomatoes and a tin of coconut milk instead of blanching, peeling, pureeing at home. But there is no compromise on the taste. To read more about my recipe, please visit Michelle's blog here. I do hope you enjoy visiting, reading and trying out this lovely spiced up soup recipe.